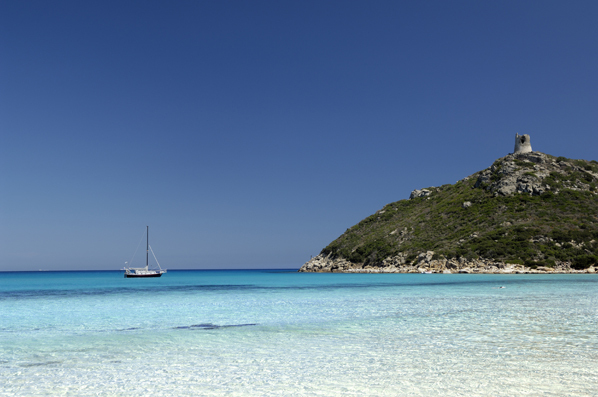 Nestled alongside an idyllic bay overlooked by the Aragonese watchtower, Pullman Timi Ama Sardegna is recognised as one of the finest establishments in the Mediterranean. Surrounded by lush, verdant vegetation, the property sits just two kilometres from the small town of Villasimius in the extreme south-east of the island, and offers access to a natural salt lake and a charming, white-sand beach. The hotel is surrounded by an 11 hectare park filled with junipers and many Mediterranean plants and animals, and forms part of the Capo Carbonara protected area. There is also a ‘geo-marine’ park and the Notteri Lake, which were both created to safeguard a breeding ground for the pink flamingo. Amid all this, the hotel is an oasis of tranquility and relaxation, making it a perfect destination for a luxury Mediterranean break. The property’s 275 pastel shaded rooms offer a peaceful hideout - available in Classic rooms, with bay and garden side, Superior rooms with bay, garden and mountain side, Deluxe rooms, with bay, garden and mountain side, and four individual Suites which are uniquely furnished. All rooms have a balcony or veranda, along with all facilities and amenities guests need, including connectivity panel, Wi-fi in the public areas and meeting rooms, docking system, flat screen TV, and a personal safe. The hotel also offers a wide range of sport and cultural activities including: beach volley, soccer, bike hire, archery, and tennis, as well as equipment for sailing, windsurfing, hobbie cats, snorkeling, diving, kayaking, fishing and water-skiing. The riding centre is not far away and an 18-hole golf course is only 800 metres away from the hotel entrance. Children are also welcome at Timi Ama Sardegna, with the Baboo Village mini club (for children between four and 12) offering professional activity leaders to organise fun and sports throughout the day. The hotel also organises external excursions by quad, zodiac, sailing, horse-riding, visits in the surroundings archaeological sites for children or all ages. But it is not all pleasure at the Pullman Timi Ama Sardegna, with the space, comfort and technology on offer allowing commercial visitors an opportunity to make a business meeting a true event. The location has four conference rooms, including two with a common, outdoor covered terrace and two open-air terraces on the same level. The views make any meeting unforgettable; while the professionalism and courtesy only add to the feeling of wellbeing. The innovative cuisine on offer in the hotel’s three restaurants is the ideal excuse to get the whole family together after an exhilarating day. The food combines the great French tradition of cooking with the latest trends in fusion from across the world, giving rise to an enormous amount of culinary variety. 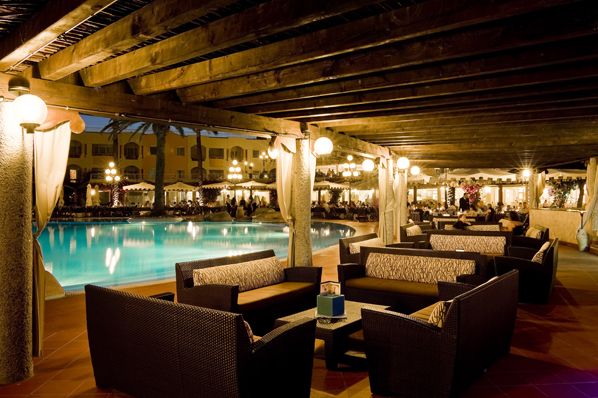 Firstly, La Veranda sees guests enjoy many classic international dishes right next to the pool. Breakfast is an international buffer, while dinner can be a buffet - with a different theme for each evening. Mediterraneo recalls a deli and is a good place to get a light lunch, while I Ginepri is located on the beach. Dishes here are light at lunch time and focus on the best regional and Italian specialties at night. Four bars, all with a vast array of cocktails and buffet options, are also ideal for sharing time with friends in a relaxing atmosphere. Finally, the Thalassotherapy Centre is a wellness haven inspired by the French tradition of seawater cures. At this oasis within an oasis, tranquility and relaxation are ensured by the professional team. The treatments range from seawater cures, hydromassage and traditional massages to beauty treatments where exclusive products, such as Thalassa Institute, Decléor and Carita are used. There are also options like seaweed treatments to help find mental and physical balance, thus bringing the body and mind back into harmony.